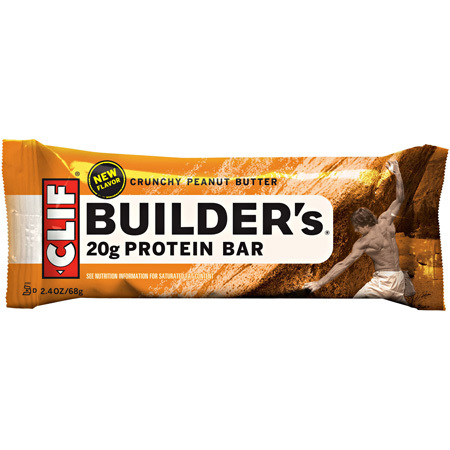 Visit Clif's Crunchy Peanut Butter Bar page. 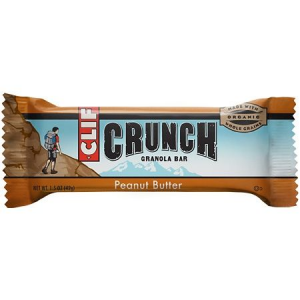 Clif Energy Run Blocks & Bites Cchy Peanut Butter Bar-1 Bar 160008. Nutritious organic ingredients. Performance nutrition. And great taste. 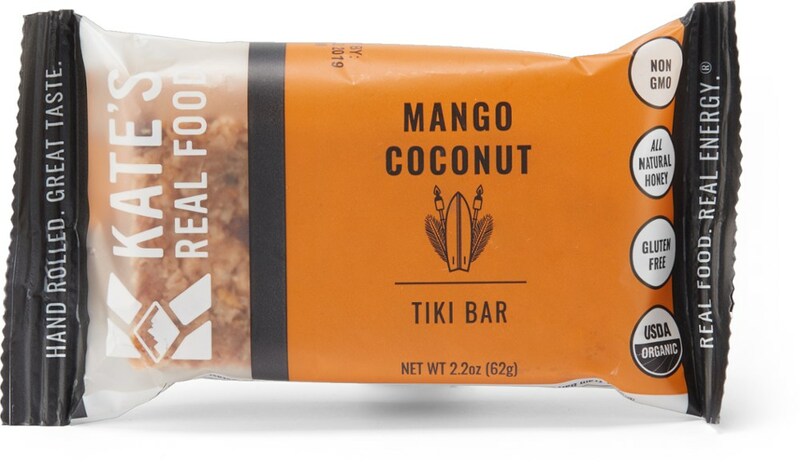 Whether you're on a 150-mile bike ride or exploring a new trail this energy bar is built to sustain your adventure. 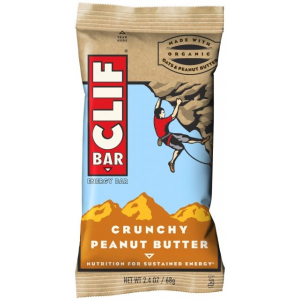 Smooth organic peanut butter mixed with crunchy peanut pieces. Nutritional FactsServing Size: 1 BarCalories: 245Calories from Fat: 45Amount per Serving%DV*Total Fat (g)58%? Saturated Fat (g).53%Cholesterol (mg)00%Sodium (mg)29012%Potassium? (mg)3009%Total Carbohydrate(g)3913%?? Dietary Fiber (g)520%?? Sugars (g)18?? Other Carbs. (g)14Protein (g)12*Percent Daily Val. 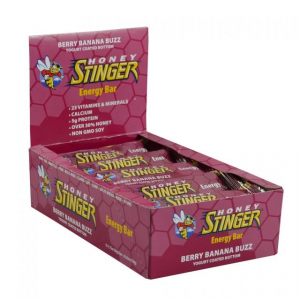 (DV) are based on a 2000 calorie diet.Ingredients: Brown rice syrup, rolled oats, ClifPro? (soy nuggets [soy protein isolate, rice flour, oat flour], soy flour, roasted soybeans), evaporated cane juice, peanut butter (peanuts, salt), peanut flour, ClifCrunch? 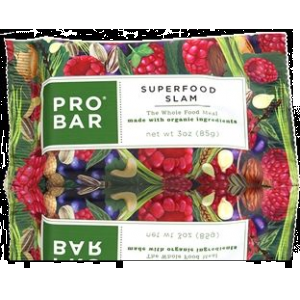 (apple fiber, oat fiber, milled flaxseed, soy fiber, chicory extract, lemon fiber, psyllium), fig paste, peanuts, natural flavor, sea salt, baking soda, decaffeinated green tea extract. Vitamins & Minerals: Dicalcium phosphate, ascorbic acid (Vit. C), alpha-tocopherol acetate (Vit. E), magnesium, niacin, ferrous fumarate (iron), zinc picolinate, pantothenic acid, beta carotene (Vit. A), pyridoxine (B6), copper, manganese, riboflavin (B2), thiamin, folic acid, biotin, potassium iodide, chromium, phytonadione (Vit. K), molybdenum, selenium, cyanocobalamin (B12). May contain traces of peanut or other nuts. 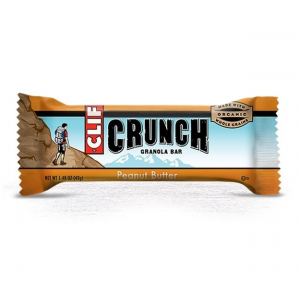 The Clif Crunchy Peanut Butter Bar is not available from the stores we monitor. It was last seen March 22, 2019	at CampSaver.com.